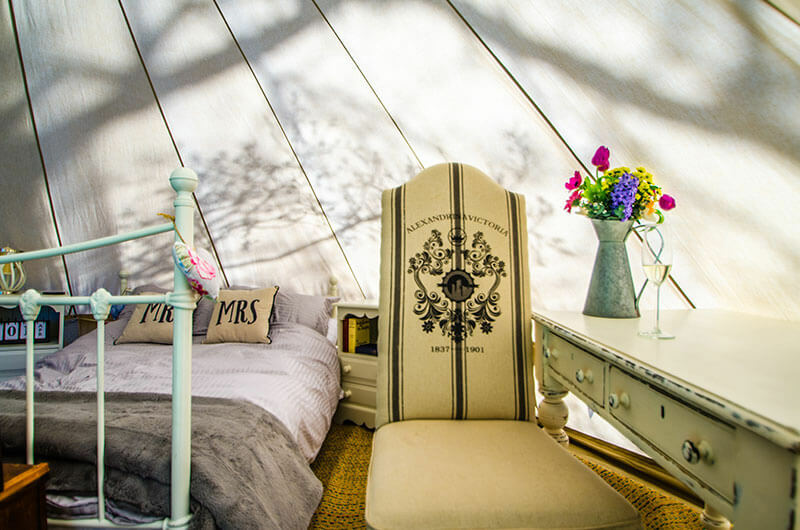 Our beautiful and versatile Bell Tents can be hired as unique outdoor accommodation for a variety of events, including Honeymoon Suites, wedding guest accommodation glamping holidays, and much more. The Elite Suite is designed for those who want a little luxury in their lives. With a double futon bed, comfortable bed lining, and classical furnishings throughout, you won’t want to leave your tent. The Platinum Pro is the perfect option for those who want a great night sleep, without the inconvenience of bringing along your home comforts. This package comes complete with a high rise flocked finished double airbed, professional range sleeping bag and super soft pillows. This package will have you wondering if you will ever sleep on a mattress again. Small group of you sharing a tent? You can hire extra air beds and bedding from us too. For the rough and ready camper who wants the full outdoor experience, with the added luxury of a canvas roof over their head. 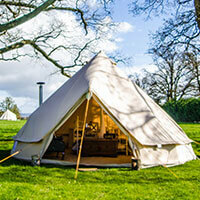 Let us take the hassle out of erecting and taking down your tent. 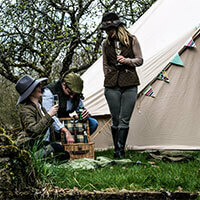 Love the idea of a camping holiday but hate pitching up? Hire one of our stunning Bell Tents for your event and we’ll deliver, set up, and collect when you’re done, so all you have to worry about is having a great time! 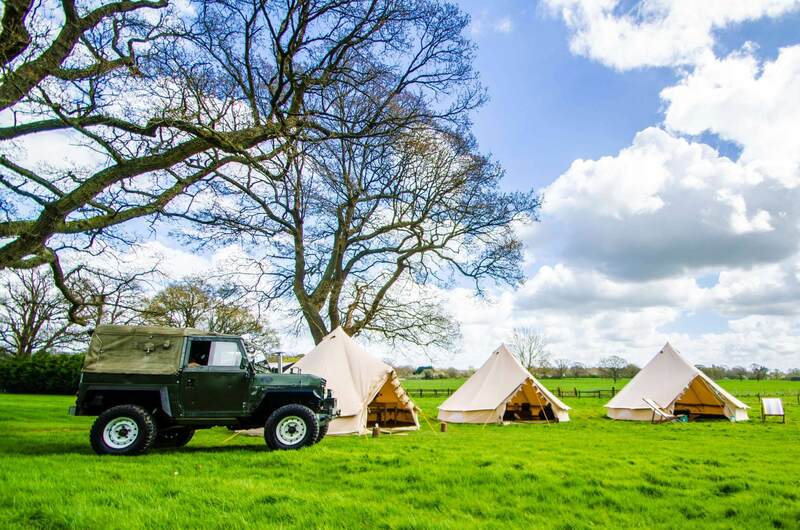 You and your guests can enjoy a night under the stars in a pre-pitched luxury Bell Tent for as little as £60 a night, with optional furnishings and bedding to make your experience truly special.